Hello Miami - 60 Minutes of State of the Art VIRTUAL REALITY in the Wynwood Arts District! 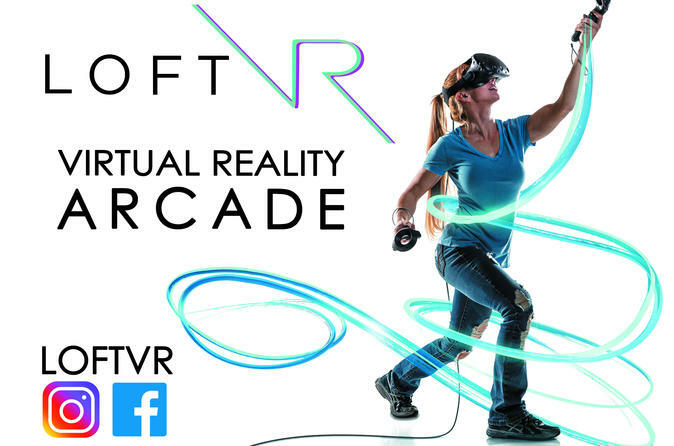 The loftVR Arcade is growing the VR community in Miami by exposing how mind-blowing immersive virtual reality is with the latest VR system available, featuring the HTC VIVE VR headset. The HTC VIVE VR headset uses a computer with strong graphic capabilities to run. The headset is tethered to the computer, but where the Vive differs from the Oculus Rift, is that it's a full-room experience. What that means is, instead of staying seated, users can stand up and walk around a 15x15-foot space thanks to sensors called lighthouses, placed around the room. It also comes with natively-built hand controllers. Available at the loftVR Arcade are 3 Virtual Reality systems that support up to 3 players at the same time. To play with friends and family, make sure to purchase multiple stations! Our location also doubles as a Next Gen VR Studio specializing in demonstrating the utility of the technology with countless applications, such as real estate, job training capability, next generation immersive simulation, engaging education, global communications, and just about anything you can imagine.